I know, I know….I’m going old school here. But you have to know that I grew up reading old-school sci-fi, courtesy of an older brother who was a Star Trek fiend (and got me hooked as well). He handed me a dog-eared copy of The Martian Chronicles when I was eleven, and that was that. 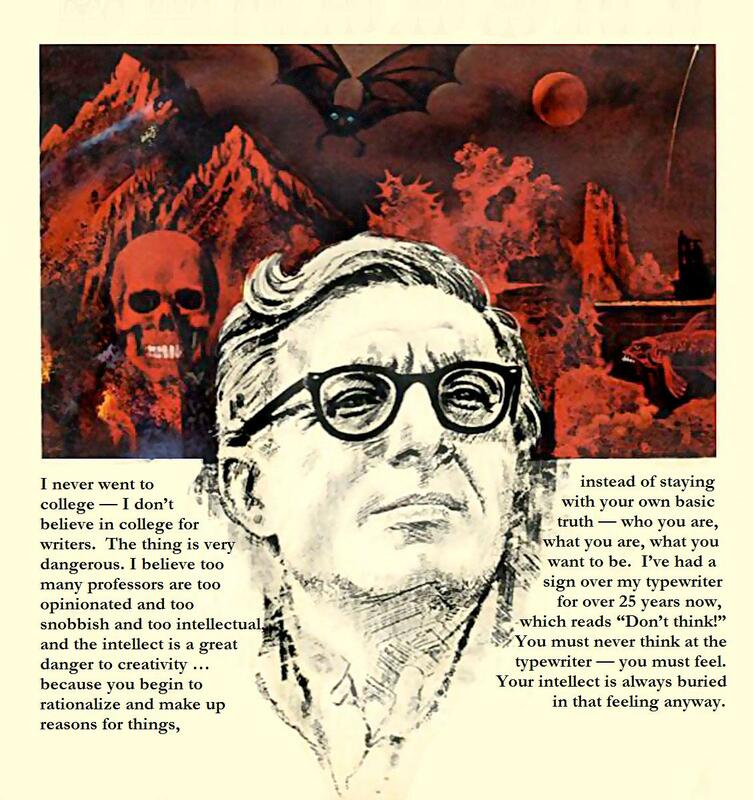 From that point, I read everything Ray Bradbury ever wrote. I went to Mars. I traveled through a moving mural on a wall into a veldt in Africa. I watched stories move in tattoos and flew with an April Witch. The man wrote dystopian futures and strange alternate worlds and influenced so much of what I wanted to capture in my own writing. This is a great strategy when you’re looking for a general writing prompt, but it’s also a great strategy when you’re looking to expand your existing story, deepen a character’s backstory or just flesh things out in a scene. What do your characters love? Hate? Fear? How do they nurture or kill or overcome (or sometimes…hide) that? Think about it. Use it. And find the best words to paint that struggle. Now go read some Ray Bradbury. Here’s my all-time favorite story – you can start there.